I didn’t know if I’d be interested in this book or not – it seemed rather gruesome or sensationalist or perhaps a combination. But it turned out to be mostly historical (a great thing) with some light but interesting chemistry and forensics thrown in. The title is problematical in a way – the first three phrases, The Poisoner’s Handbook: Murder and the Birth of Forensic Medicine are fine – I didn’t detect any “jazz age” material in the book – the reference is too specific to be appropriate. Imo, the “roaring ’90s” or “prohibition” might have been better. “Speak-easies” are addressed quite a lot but there is no mention (that I remember) of any jazz artists or music. (I just checked and the term “jazz” comes up about 4 times in the narrative almost always as a metaphor. The word music comes up 3 times. – The word “speakeasy” comes up dozens of times. Blum has a very lively style – and because she sticks quite closely to a chronological telling (within the category of the poison), the story bounces from one incident to another in which the main subjects, Dr. Charles Norris and Alexander Gettler are involved with forensics. They go about finding poisons, helping with arrests, warning people and whatever associated duties are required for medical examiner and toxicologist in New York City. 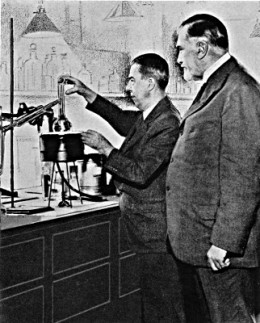 I had no idea there was so much poisoning back in the early 20th century – it was the subject of many genre mystery novels for years, but then the sciences of toxicology and forensics advanced to the point which made it a less than ideal way to do away with someone. The Prologue was great – it gave the historical background and a taste of what was coming. I felt quite ready for the next pages. 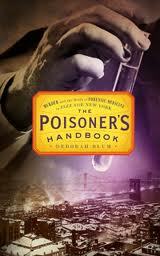 The book is organized by type of poison so chapter names are Chloroform, Wood Alcohol, Arsenic and so on. It works quite well. p. 7 – Frederic Mors was an Austrian serial killer who, while employed in a nursing home in New York City, killed seventeen elderly patients by poisoning. When questioned by police he was very cooperative, readily admitting to the murders. After being arrested, Mors was diagnosed as a megalomaniac and committed to an insane asylum from which he later escaped. his butler. Rice was the victim of one of the earliest sensational crimes of the 1900s. On September 23, 1900, Rice was found dead by his valet, Charles F. Jones. He was presumed to have died in his sleep. Shortly thereafter, a bank teller noticed a suspiciously large check bearing the late Rice’s signature and made out to Rice’s New York City lawyer,Albert T. Patrick, but with his name misspelled. Soon, Patrick made an announcement that Rice had changed his will right before his death, leaving the bulk of his fortune to Patrick rather than to his Institute. 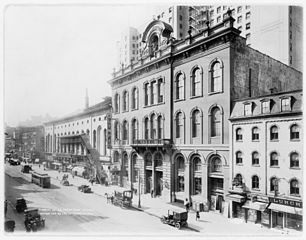 A subsequent investigation led by the District Attorney of New York resulted in the arrests of Patrick and of Rice’s butler and valet Charles F. Jones, who had been persuaded to administer chloroform to Rice while he slept. 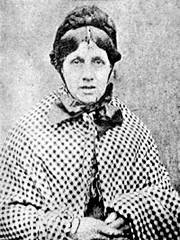 Mary Ann Cotton (born Mary Ann Robson in October 1832 in Low Moorsley, County Durham – died 24 March 1873) was an Englishwoman convicted of murdering her children and believed to have murdered up to 21 people, mainly by arsenic poisoning. 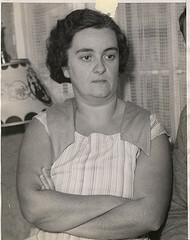 Mary Frances Creighton (c. 1898 – July 16, 1936), was a 38-year-old housewife, who along with Everett Appelgate, a 36-year-old former American Legion official, were executed in Sing Sing Prison’s electric chair, Old Sparky, for the poisoning of Appelgate’s wife, Ada, inBaldwin, New York on September 27, 1935. She had passed out prior to the execution, and was executed in an unconscious state. Ginger Jake – Jamaica Ginger extract, known in the United States by the slang name “Jake,” was a late 19th century patent medicine that provided a convenient way to bypass Prohibition laws, since it contained between 70-80% ethanol by weight. 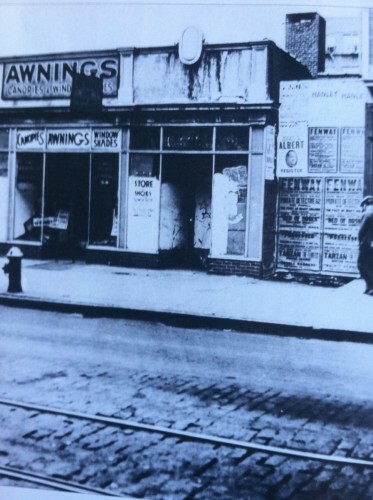 The storefront for Tony Marino’s speakeasy, 1933. Michael Malloy (1873 – February 22, 1933), alias “Mike the Durable” and “Iron Mike”, was a homeless Irishman from County Donegal who lived in New York City during the 1920s and 30s. Although he was a former firefighter, he is most famous for surviving a number of attempts on his life by five acquaintances, who were attempting to commit life insurance fraud.